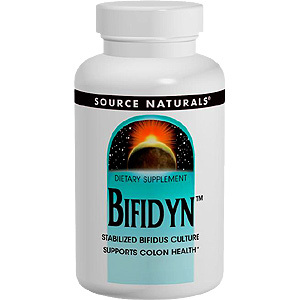 Bifidobacterium longum, an acid-stable and viable strain of bifidus, helps support colon health by altering microflora ecology to favor "friendly flora." Bifidobacterium is the predominant microbe in the intestinal tract of breast-fed infants. 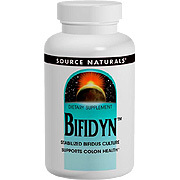 Bifidyn Bifidus powder 1/4 level teaspoon, with meals, three times daily for 3 weeks, then once or twice daily. Warning: If you are pregnant or breastfeeding, consult your health care professional before using Bifidyn Bifidus product. Freeze-Dried Bifidus (approx. 6,400,000,000 viable cells Bifidobacterium longum and Bifidobacterium bifidum at time of encapsulation.) 640 mg.
Bifidyn Powder is shipped in a discrete, unmarked package. Orders are processed immediately and usually take about 3 to 5 working days to be received. We do ask that you try it for 2 to 3 weeks to feel the full effects. Any information received is used only for order processing and shipping purposes. Your information, such as e-mail address, will never be disclosed to a third party.